Jade is most valued for its metaphysical properties. It is the ultimate “Dream Stone,” revered in ancient cultures, as well as today, to access the spiritual world, gain insight into ritualistic knowledge, encourage creativity, and dream-solve. It is cherished as a protective talisman, assuring long life and a peaceful death, and is considered a powerful healing stone. An amulet of good luck and friendship, Jade signifies wisdom gathered in tranquility, dispelling the negative and encouraging one to see oneself as they really are. 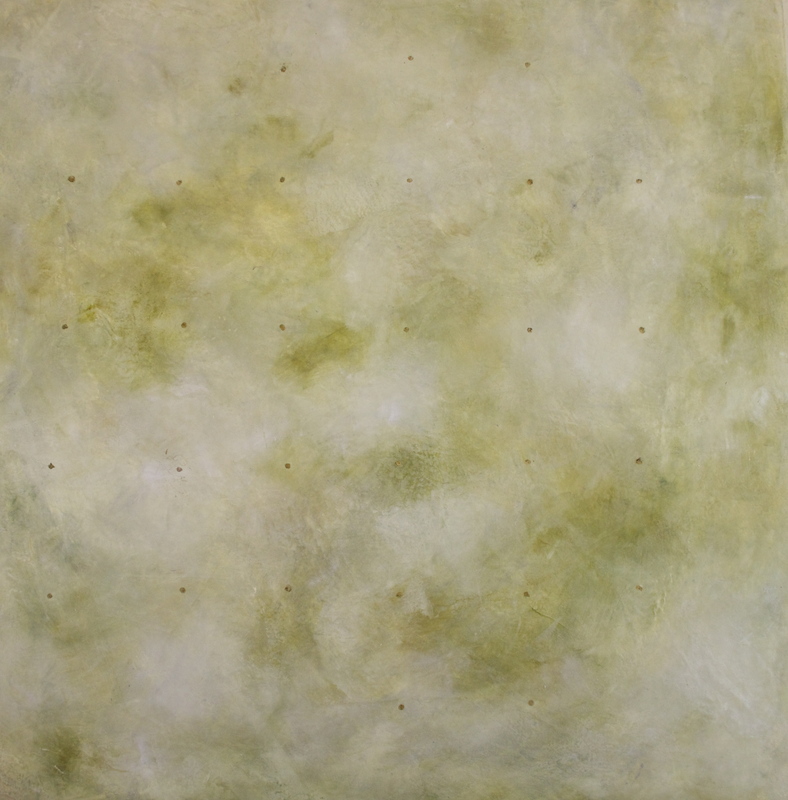 These paintings are meant to bring some clarity and peace into your environment. Think of it as FENG SHUI DECOR! 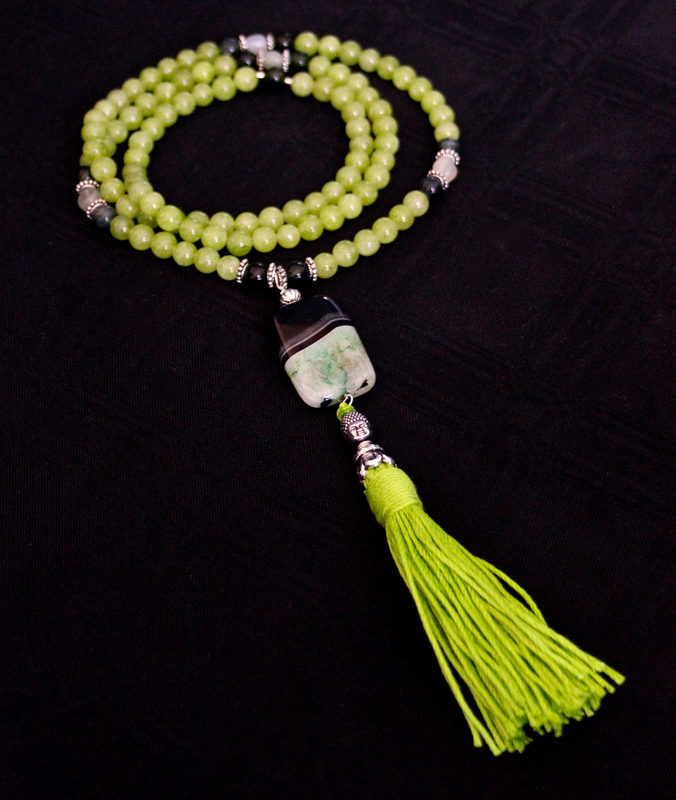 Olive Jade gemstones mala, 108 beads with brazilian agate guru bead and tassel.